Pi Day Celebration Banner and Pi(e) topper. Each pennant includes a Pi symbol at the beginning and end, along with the following numbers 3.141592. Each pennant measures approximately 7.25 in x 5 in., and the complete "3.14159" image shown is strung between two hooks spaced approximately 6 feet apart. 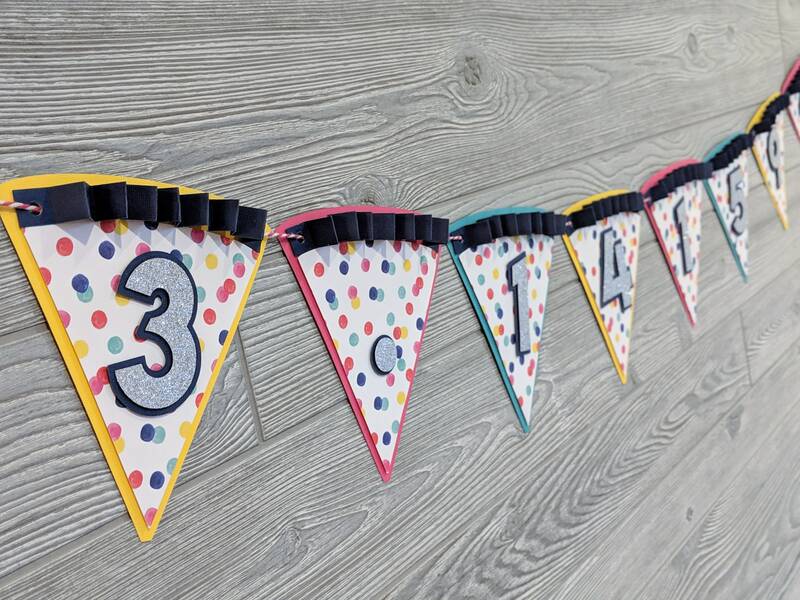 Each banner comes with two Pi symbols that can used on each end of the banner, and one pi symbol that can be used as a pie topper. 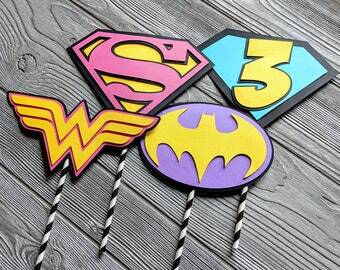 The colors of the pictured banner are: silver glitter, navy blue, pink, yellow and teal. The patterned paper is white with a coordinating multi-colored dots. If you have a different color scheme in mind, please let me know, and I will do my best to fulfill your needs. Custom orders are always welcome.